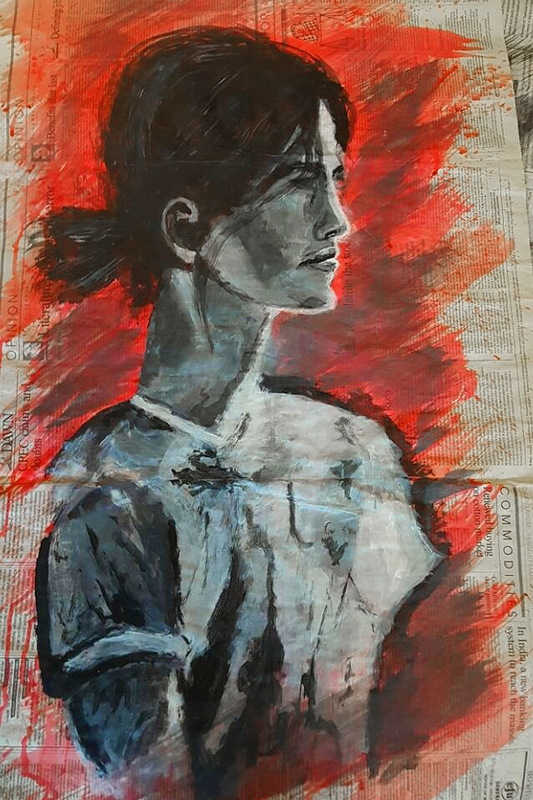 In this short article we present the work of Ali Powsal, a young talented visual artist from Lahore, Pakistan. Why did you decide to participate in Whistle Project? I decided to participate in WHISTLE project because of its differences compared to other projects. It seemed attractive and appealing to me. Plus it seemed challenging. The story is similar to stories one can find in my culture. Strangely though, no one tackled this theme before. In addition, the idea collectiveness, many artists working on the same topic appealed to me the most. I just think and paint. If I notice something strange , interesting or bad around me, it hits me and I begin to paint. The story manifests itself on the canvas through my color lines and my feelings. I focus on the concept of "Art for a cause". I mostly do abstract art and smoke art. I try to express feelings, through expressions. I can tell a whole story just by utilizing a character's expressions. Also, if you pay close attention to my paintings you will feel the colors moving. 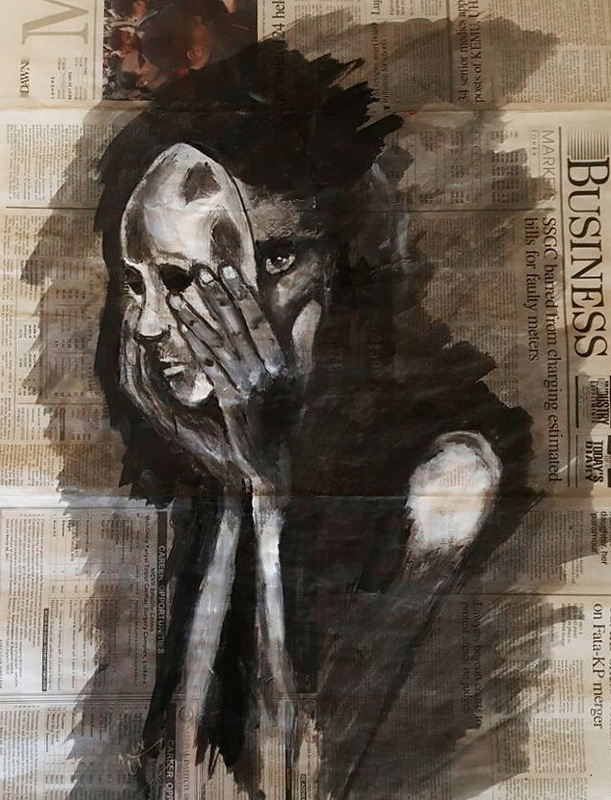 I want the world to see the hidden sorrows of people through my paintings. No I don't believe in superstitions. But I love to hear stories based on superstitions. I want them to feel the way the characters, in my paintings, are feeling. An emotion. The idea of collective storytelling fascinates me a lot. Different ideas, different imaginations and perspectives on one topic. It is like a window. 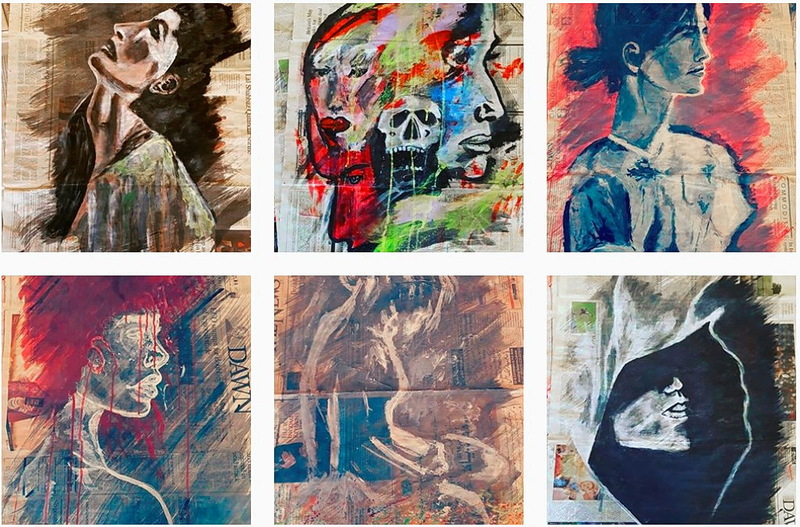 A view into the minds of all these artists, from around the world. People should support this project because of its originality , ideas and creative character. The last one being the most fascinating aspect of all. To experience a story from different angles. To see different worlds and meanings that are hidden from us. To experience the magic of creativity and imagination. The work I submitted revolves around a Jinn (ghost). In Spain and Thailand it is believed that a Jinn comes on a full moon night when melodic music is heard. And in Pakistan it is believed that when a beautiful woman screams at night it is because the Jinn has an obsession on her or fell in love. My work is a combination of these two stories. All the works created for WHISTLE project by Ali, will be available to the public during the transmedia exhibition. Ali Powsal is a visual artist from Lahore, Pakistan. His work is an expression of contemporary abstraction, that can also be seen as a cultural symbol in contemporary painting. 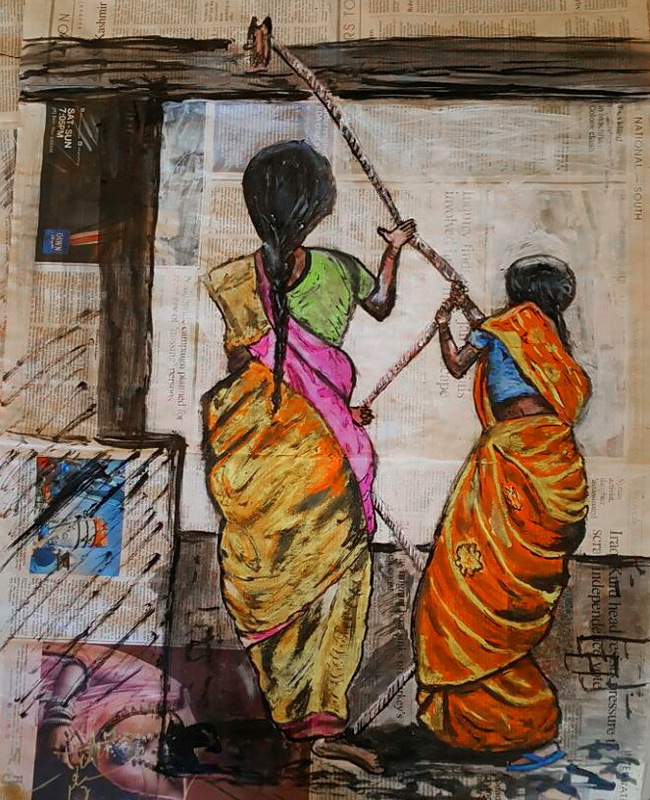 Using newspapers for canvas his creations reflect on social issues, like women's rights in countries of the east. Another characteristic is the fact that the works adopt a different feeling depending on light conditions, due to the materials used.